Im from Belgium. 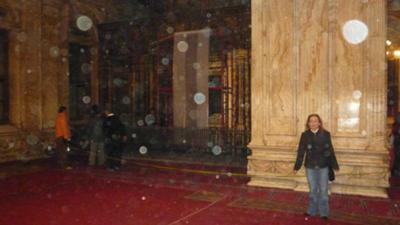 I went to Egypt from 19th of February till 13 of March 2012 to be with my fiancee. We visited there the citadel. As you maybe know its a big building within a old Mosque, Militairy Museem and a Police Museum. We took pictures everywhere, outside and inside. 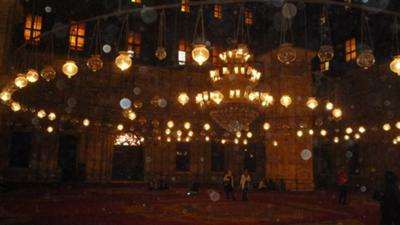 Yesterday my friend told me did u see ur pictures inside the Mosque and the Military Museum? Yes i said and i know i've seen white spots but didn't know yet what it was. 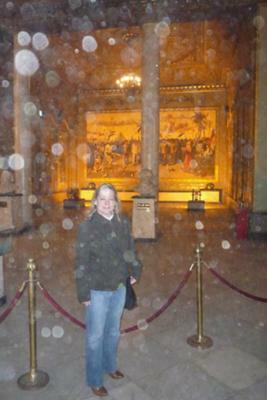 She said, they are orbs on some of the pictures. So i looked up what it meant and went back to see the pictures and yes there were so many of them. 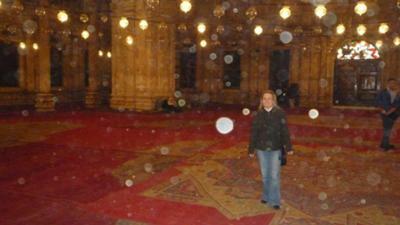 I added the picture when i was inside the Mosque.